Our electronic transcripts with hyperlinked word indexes and exhibits export into any format so you can read, copy-and-paste, and print your transcript from any computer—or just import it into your litigation support software. Gone are the days of sifting through hundreds of pages to find what you need—all of our transcripts come with searchable scans of your exhibits. E-filing-ready upon request. Our tabbed word index lists keywords and their locations by page/line number. 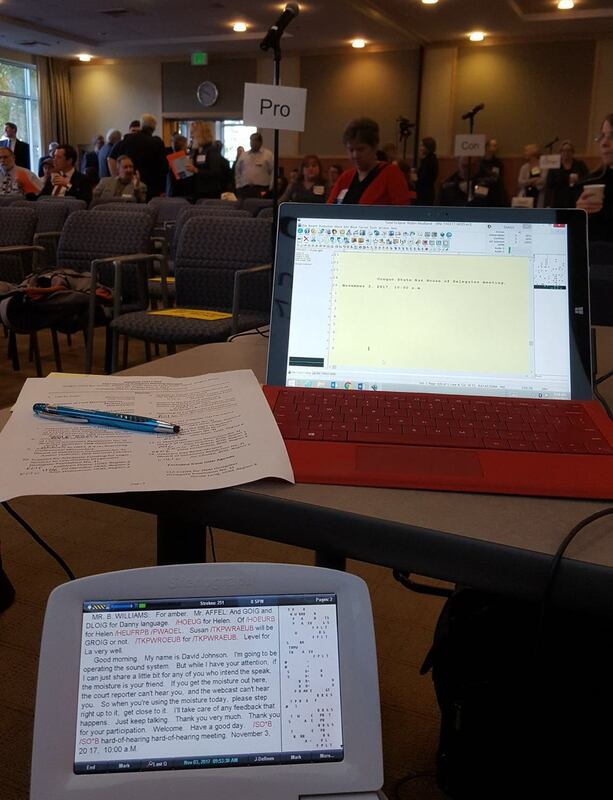 The portable condensed transcript cuts paper use by 75 percent. LNS has affiliates all over the globe. We can find you court reporters, videographers, process servers, and conference facilities—anytime, anywhere you need them. We track your transcript and reporter preferences so you can work the way you want to, every time. Our 24-hour answering service ensures you can always talk to a live person, no matter when you call. – Our experienced reporters can expedite delivery of your transcript when time is of the essence. – Realtime gives you instant access to the reporter’s transcript so you and your team can read the words as they are being spoken. Make notations and search for text during testimony, and let off-site counsel, expert witnesses, paralegals, or clients do the same via a secure, password-protected server. – We combine your transcript with your video or audio to allow you to find, create, edit, and export video or audio clips for your trial presentation with just a few clicks of a mouse. Includes linked searchable exhibits. – Our videoconferencing facilities and Web deposition software bring together people from multiple locations to save you time, stress, and money. – Our Online Client Center provides you with access to your invoices and deposition schedule, as well as electronic versions of all ordered transcripts and exhibits on our secure, password-protected server.